The Samkara Luxury Meditation Retreat package is available in 4 and 7 night durations. Please download our comprehensive PDF retreat brochure below for further information on the overall benefits of meditation, our specific program methodology, precise daily schedules, and much more. Samkara’s all-inclusive luxury meditation retreat provide a unique twist on tradition retreats to provide a holiday experience with the purpose of achieving silence of the mind, body, and soul. 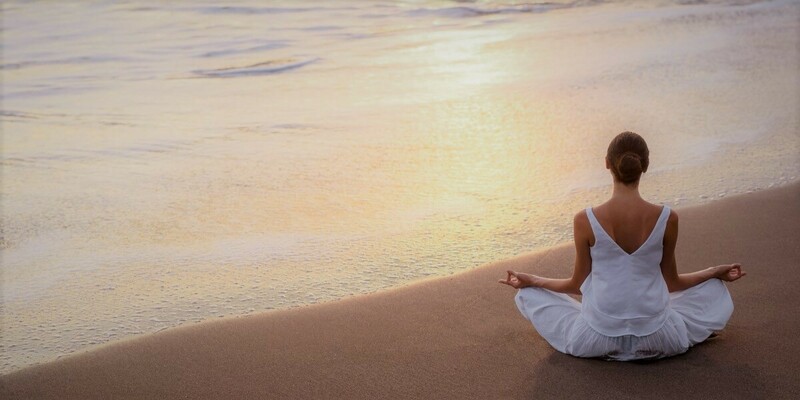 Combining both onsite meditation with various offsite nature activities based around mindfulness; along with pampering spa treatments and various therapies; this program offers an integrated yet relaxed approach to a meditation retreat while providing a luxury holiday experience. Notes: Complimentary use of all resort facilities. Free local shuttle service as well as airport pickup & drop off included. All retreat bookings include welcome drink & fresh towelettes, reusable metal water bottle, and a departure souvenir. If cancelled up to 7 days before arrival only the deposit is due, if cancelled within 7 days the full amount is due. For bookings from 24 December to 5 January we charge a 50% NRF deposit and the remainder 30 days before arrival. In the event of a guest non-arrival or early check-out, Samkara Koh Phangan will charge 100% of the total booking fee (including accommodation and wellness programs) for the full length of stay and as per the most up to date booking confirmation. We strongly advise that all guests take out adequate travel insurance in case of unavoidable emergencies that may result in the cancellation of their stay at Samkara Luxury Wellness & Holistic Spa. Please note that Samkara’s wellness programs have been designed to help you reach your health goals in the most effective way. Any changes made to your program compromise the efficacy of the program and the overall result. All Samkara Wellness packages carry a built-in 20% discount on wellness and food and beverage services. Therefore cancellation of any packaged therapies will be credited at 80% of the normal retail price. Credits against cancelled treatments may only be used towards the purchase of treatments offered on the Wellness Sanctuary & Holistic Spa treatment menu. These credits may not be used towards sessions with Visiting Practitioners, food and beverage, accommodation, purchases in the resort's retail shop or any incidental costs such as laundry services etc. In the case of a contra-indication whereby Samkara’s health practitioners advise against a certain treatment included in the wellness package a credit of 80% will apply.